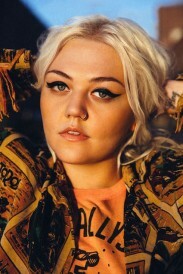 Singer Elle King has been burning up the charts with her catchy single, “Ex’s and Oh’s.” The song is about sleeping with a ton of men and satisfying all of them so much that they keep coming back for more. But! It’s still catchy. Maybe King will switch up the pronouns when she plays to a crowd of queer women at 2016’s Dinah Shore Weekend in Palm Springs. The Dinah is taking place March 30-April 3, 2016. Tickets for the event are on sale now and they are slowly making their musical line-up public. Pop royalty such as Katy Perry and Lady Gaga have performed at the lady love fest in the past and the word on the street is that the 2016 line-up is going to be spectacular. Does King look familiar? She should, her father is comedian Rob Schneider. Also, does anybody else remember the show “Exes and Ohs,” the short lived but much loved sitcom about a bunch of lesbians? I miss that one. “Ex’s and Oh’s” the song is definitely not about lesbians. Anywho, watch the video below! Posted December 14th, 2015 & filed under Entertainment, Video.